Smart Storage Systems | deister electronic UK Ltd.
It‘s often all too easy to lose track of who has what item, when it was last used and especially the condition that it was returned in. deister’s smart electronix locker systems protect your essential assets by allowing you to control individual access rights whilst creating a fully auditable record of the electronic lockers usage. Users identify themselves at the smart locker using a card, PIN or biometrics which will only allow them to only open compartments with items that they have been authorised to use. This helps protect your company’s shared portable equipment by creating accountability. With our asset management lockers, you could improve your assets availability and life-span by creating a reservation system, releasing equipment based on longest charged or incorporating fault logging. With customisable reports and alerts, your radios, test equipment, tools, laptops and so much more can be easily managed from any location using our web-based software. 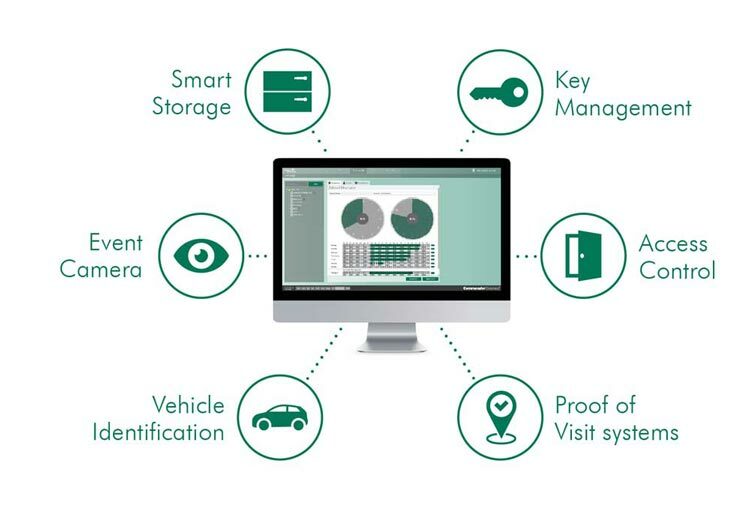 Control who can access what assets and when as well as monitor in real-time. The system automatically documents all locker activity in customisable reports that you can view at any time. Ensure that your assets value is not being wasted by being left for months without use. Our system allows you to set up a rotation system to ensure all assets are used. For additional security, our lockers can include article surveillance to log the physical removal and return of your assets. Ensure that your asset is ready for the next shift. Equipment can be charged whilst the item is stored in the cabinet. The state of charge is also displayed. Our software is web-based so it supports administration across multiple locations. This means you are easily able to centrally monitor systems in different locations. 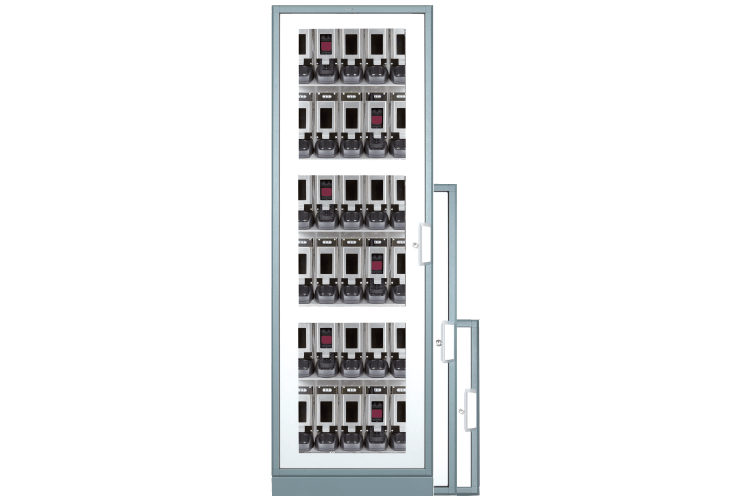 All lockers remain operational, even in the case of a power or network failure. The usage data is stored locally, and an integrated emergency battery secures operation. They also include mechanical override for quick emergency access. 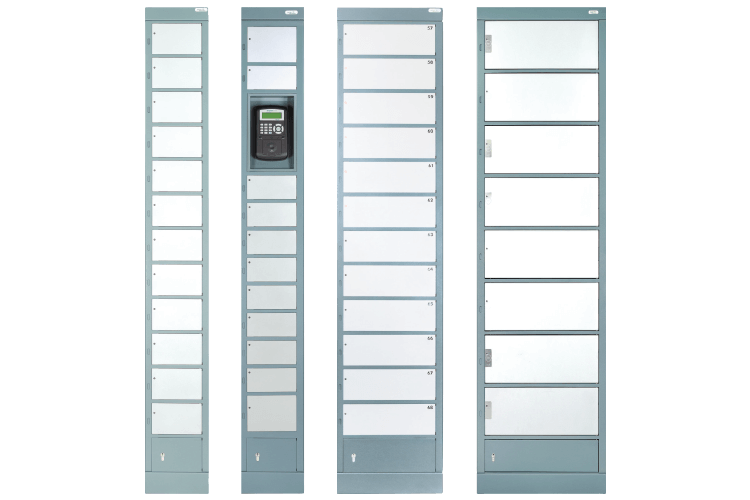 The locker series is available with a range of different compartment sizes and quantities to suit your individual needs, they can easily be combined together to create the right electronic locker system for you. With the locker series you can secure an item within each compartment using our keyTag’s or an RFID chip can be installed or attached to an asset allowing the user to remove or return the radio, laptop, weapons or other critical resource simply by placing it against a compatible reader, the device is then automatically identified once returned inside the compartment. All actions are logged within the software to provide real-time data and reports on your asset use. racx is a universal 19 inch cabinet system which allows you to combine both drawer modules and flexx series key panels. This innovative design approach increases flexibility. A keyTag location is provided in each drawer to enable you to insert the keyTag attached to the asset or bunch of keys. 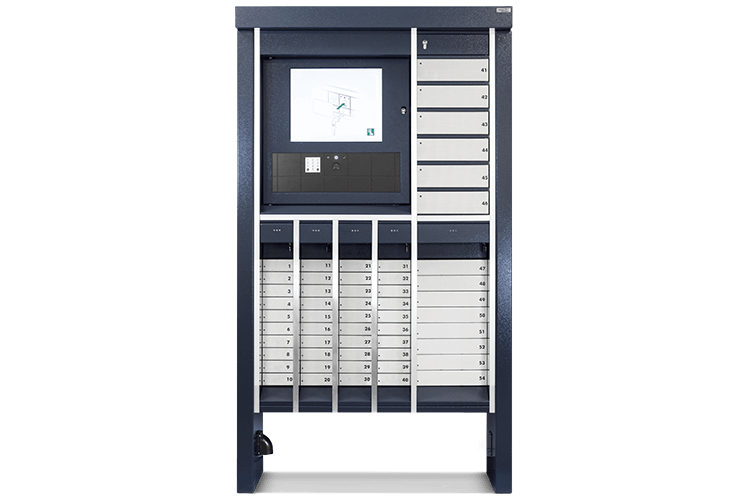 With different sizes of cabinets the flexx series offers space for diverse storage options not only for keys but also for the management of radio handsets with the possibility to safely store and manage both keys and radios in the same cabinet. With the option of an integrated battery charging station along with a charge status display, devices can be issued on a rotational basis, so that only fully charged items are issued. Flexx cabinets are available in a range of sizes with the choice of either a solid steel or a window door. Cabinets can be installed side-by-side where more storage space is required. bloxx is available with different drawer and locker sizes which can be combined in the same system. The modular concept allows the creation of a bloxx system to suit individual requirements. Better control, knowing who had what and when, reducing losses or misplaced equipment means it’s available when you need it. Saving money and valuable time, as well as reducing the cost of replacements ensures a rapid return on investment. Powerful software and intelligent asset management maximize asset availability and help to optimize inventory. Our easy to use software platform Commander allows easy administration of your smart storage system as well as the ability to control a range of deister products which can combine to give a complete and connected solution. 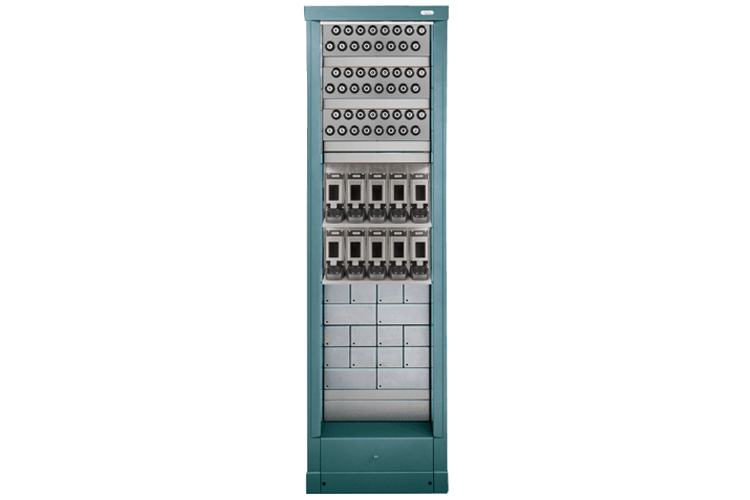 Capable of working as a stand-alone system connected direct to your cabinet or it can easily scale up to a corporate setup and will work exactly the same on a physical server or a virtual environment. An easy to use interface and the ability to customise your own reports as well as configure triggers for notifications and alarms gives you a flexible working solution. The system can identify and manage critical work equipment and other high value items. A RFID transponder can be installed in, attached to or hung on the device. 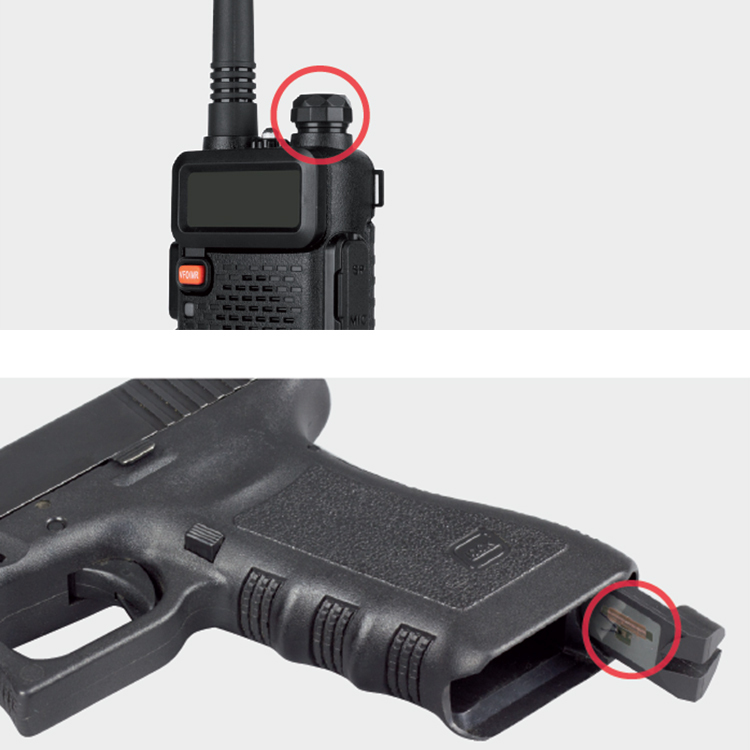 Upon removal or return of the equipment the transponder is automatically recognised by the antenna installed in the compartment and electronically detected and logged. Reliably safeguard weapons with or without ammunition. Each individual compartment is electronically monitored and you can use biometrics to identify users so that you know only authorised users are able to gain access. Optimise the use of company equipment by placing time restrictions, controlling who can access what items and even integrating charging into the storage process. All whilst the system creates an auditable record of who has used what items and when. Organise, safely store and automatically charge radio handsets. Electronically monitor their removal and return with integrated charging stations to ensure the radio handsets are always ready for use.